I had found on my grandfather basement this old acoustic guitar (6-string) which has no brand, no attached paper to show specifications or manufacture source I mean but a tiny sticker on behind says "made in USSR" where I conclude it belongs to Soviet period! but I got hours and hours digging in the web to find something similar and no result. So I am asking here if any of you would help me to decide what to do with this guitar, does it worth to save it or just throw it away ? another question if possible how can I figure out which wood it made from ? You are missing the tuners. I can not speak to the value of the guitar but it is not playable until at least that is replaced. It is unclear from the picture whether the tuners were friction or gear. I am betting on friction. If they were friction some slight adaption may be desired to fit modern gear tuners on the instrument. At the same time, if the instrument is valuable for it's history, then you may not want to add the tuners. Still more detailed pictures could help to evaluate it further. (done) A side view of the headstock (top of the picture). An angle shot near the sound hole. A picture of the bracing on the inside of the guitar. (done) A close up of the nut (The black part in the current pick near the headstock). A close up of the frets, which look worn in this picture, but may be passable. A couple different angles of the neck. Value is subjective and subject to change over time. From the one picture the guitar looks serviceable, in other-words it probably could be made to work properly. Also note that it appears to be a classical/flamingo style guitar which would require nylon strings. Steel stings would likely ruin the guitar. Update: looking at the added headstock picture, it looks like it had gears at some point. Finding the right gears to fit the head stock may take some doing (There are many different sizes from different manufacturers especially with older models), but it should be possible. If I was shopping for it, perhaps I would pay $50 (american) as is. Perhaps $100 if it was fixed. and these numbers are on the high end. But there is sure to be something special about having a guitar that has a history and a look, and a story. The rosette is interesting. It may be possible to identify it further from that. I certainly wouldn't throw this away; if I didn't want to keep it as a curiosity piece, I would try to sell it. It may not be a great musical instrument, but it's suitable for a museum or a collector of Soviet memorabilia. It is playable, but doesn't sound or feel great. It's a hard question to answer, but I started to play guitar when I found an old spanish guitar which belonged to my father when he was young (more o less, a 20 year old guitar as well). At that time, it was not clear whether I would keep playing guitar or not, so I didn't buy another one until I decided myself to go on. If the wood is not eaten by woodworm and it sounds (more or less) good, for me it would be a pity to throw away an instrument. Instrument-making did not play a much renowned role in the USSR. So you could have instrument makers who disposed of their factory duties by working insane shifts for a week, then working on instruments for two weeks at a time privately. "Traditional" instruments like Balalaikas or Bayans might have had some degree of an official blessing: in that case, there might have been really good instruments produced during regular work hours in state factories. A guitar is not likely to be among those, however. If it has been produced by a capable hobbyist or freelancer, it is quite well possible that its sound quite exceeds its looks. Or not. You really need to get it into playing condition and let someone capable try it out for figuring out whether it is worth playing on or rather something nice to hang from a wall. Your best bet is to take it to a luthier. They would be happy to have a look at it and quickly identify whether or not it's a good instrument, or if it will require a lot of expensive work, or if it has any irreparable structural defects (though everything in the photos looks good!). Anything that looks busted or worn out can generally be fixed, the tuners, the nut, the bridge, even the frets are all easy to replace. Another benefit of going to a luthier is that most usually keep a device on hand, which I believe is called a ToneRite, that attaches directly to the bridge of an instrument and uses the instrument itself as a speaker. 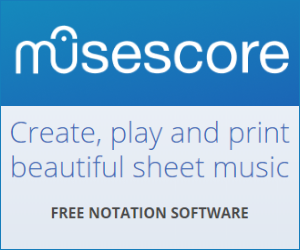 They can even reproduce recordings by famous performers directly through your instrument! Getting your hands on one of these devices temporarily could be imperative, partly because you'll get an idea about how your guitar sounds, but mainly because stringed instruments like guitars are meant to be a little loose at the joints. When a guitar sits too long, even a very expensive guitar, it might sounds like a 10 dollar toy until it's been played for a little while. But it all depends on the construction. So before you decide to have any work done on this instrument, try and talk a luthier into at least running a ToneRite on your guitar overnight so you can get a good idea of its sound quality! 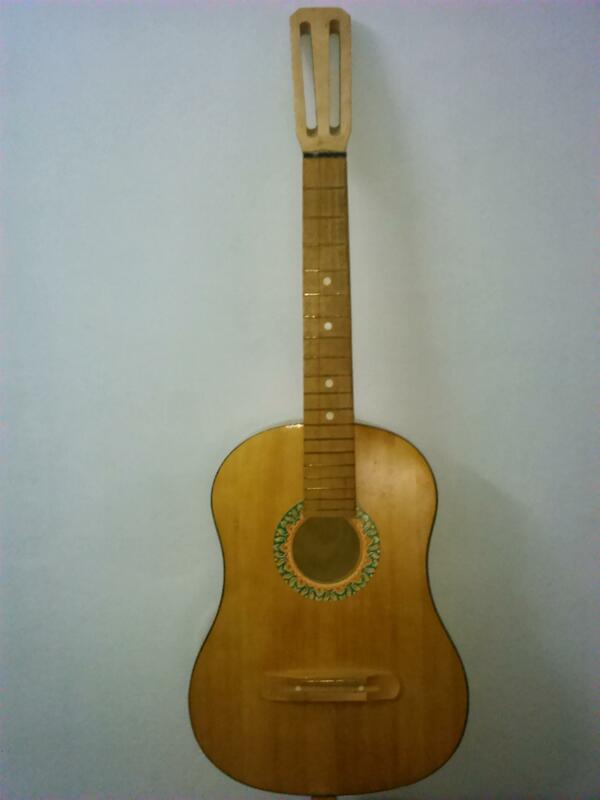 Is this old, possibly Musima classic guitar worth keeping? How do I change the string on this guitar?